Ability360 Sports & Fitness Center sponsors and promotes para-sports, making it possible for individuals with disabilities to participate in competitive team sports at a local level and to condition some athletes to work toward national and international competitions such as the Paralympics. 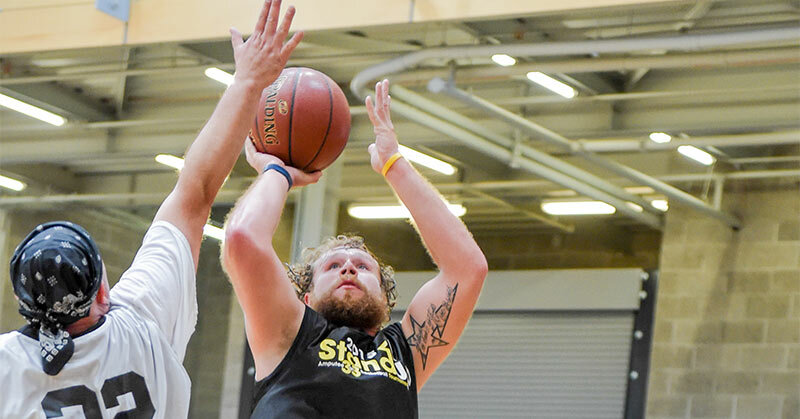 AMP1, an all amputee stand-up basketball team is the newest addition to Ability360 sports. AMP1 travels the country, showcasing their talents and speaking with groups ranging from elementary school students to civic groups. Their mission is to motivate, educate and inspire. Stand-up amputee basketball was created for those who want and are able to play the game standing up. As the name implies, all players have an amputation of at least one limb. Wheelchair basketball is usually the first recommendation for an amputee, but this option excludes players with upper extremity amputations unless they have an additional lower body disability. The Paralympics, like the Olympics, consider which sports will be included every four years based on numerous criteria. Every Paralympics will feature new sports that are often played initially as exhibitions and then become competitive sports in the following years. To be considered a Paralympic sport it must be played in numerous countries and have existing leagues with established teams and consistent rules and regulations. Ability360 hosts the Cactus Classic, the only 3-on-3 basketball stand-up tournament in the country. “By teaming up we hope to draw more attention to Phoenix and the tournaments,” Ramsay said. 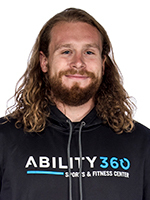 Nick is an athlete, coach, and program coordinator at Ability360 Sports and Fitness Center. He is a proud Hoosier where he grew up and graduated from Indiana University. He ventured to the desert to continue his education and love of sports while attending ASU studying adaptive sport and recreation.